Yup, it’s been a while since I last posted something original, and it’s due a cluster of things including a nasty sore throat and a work schedule that’s pretty filled up. Before I get into the video extract, a quick head’s up on what’s going on with current filmmaking activities. 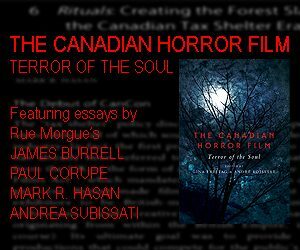 I should have a teaser trailer up for the video store doc BSV 1172 by October, and while it’ll have just a slight amount of material from the experimental doc filmed at one of Toronto’s biggest video stores, Bay Street Video, it’s a hint of how the short will not be a straight talking heads production (not that there’s anything wrong with that). In fact, I’m looking forward to a pair of docs: Plastic Movies Rewound: The Story of the 80’s Home Video Boom, about the history of the video rental business; and the Canadian-made doc on VHS tapes, Rewind This!, which is available now as a digital download from the filmmakers before a hardcopy edition is to follow. Most of the images for BSV were captured and processed using vintage video gear, and the teaser trailer is no different. 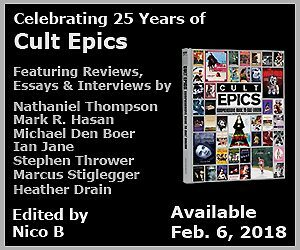 The intro material was shot using a Panasonic WV-3240 Newvicon tube camera (which, by the way, is a GREAT prosumer camera), then run through a trio of old Showtime Video Ventures boxes, and recorded to MiniDV. The intro text also comes from something ancient – a Micro Script Model II character generator made by the (likely) long-dead Montreal company Scriptovision. No idea of the CG’s age, but as difficult as it was to type up the text using its peculiar keypad, when overlaid within Adobe Premiere, the end results were crudely retro – exactly what I wanted. One of the issues with all of this dead tech floating around is the utter lack of its history because many of the companies no longer exists, and since they were alive during a pre-internet era, what images or info survives often comes from blogs like this one, or Ebay auctions where sellers have to take images of their wares so buyers know what’s for sale. I’ve a small archive of Ebay images because they’re frankly the only proof of what exists out there, and are helpful in distinguishing the various camera and gizmo models, and what main companies re-badged their wares for other companies. 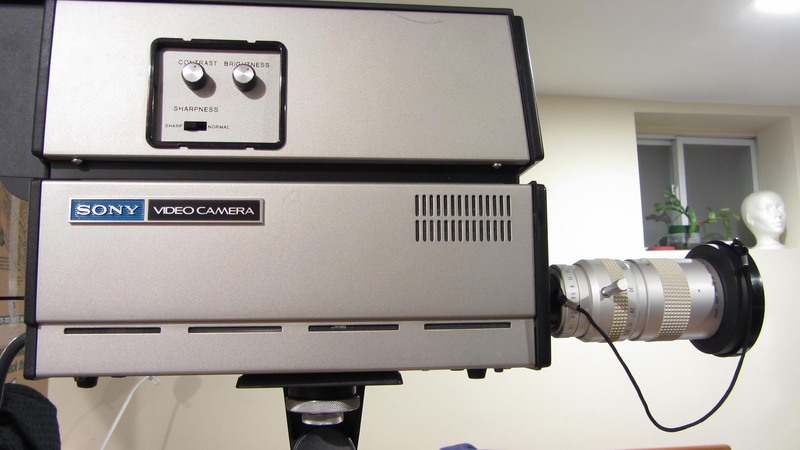 Here’s a simple example: all early RCA Vidicon tube cameras were manufactured by Panasonic, including the first run of Newvicon tube cameras before RCA swapped manufacturers and went for Hitachi, who also made their CCD cameras. Magnavox, which by the seventies and eighties seemed to exist as a name-only company, had cameras made by JVC, as did Sylvania. This practice extended to Europe, making companies like Panasonic remarkably powerful in determining the level of technology and look of the gear in the world during the late seventies and mid-eighties. It’s one of the reasons you can swap components between certain models and lines of Panasonic, Olympus, and Canon cameras. Canon’s VC-50 Pro used extender lenses – wide & telephoto – which could also be applied to Panasonic and its U.S. line consumer line, Quasar. Canon VC-50 Pro Saticon tube camera. Behind that wide side panel is a QWERTY character generator. 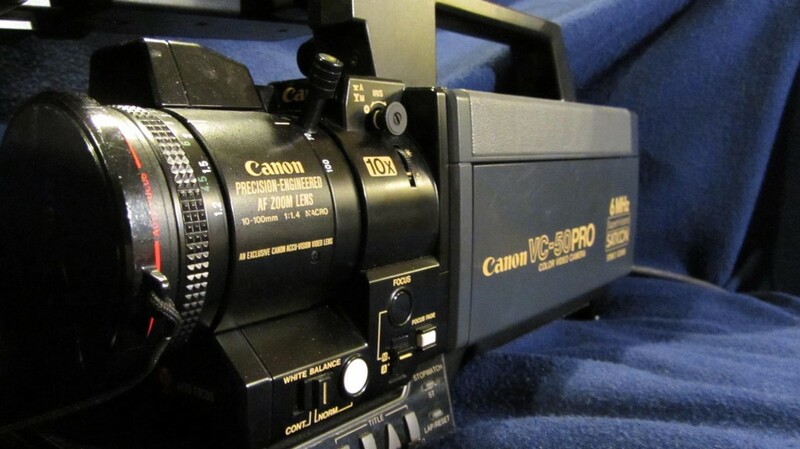 Canon VC-50 Pro Saticon tube camera. Precision? Yes, but too bad that doesn’t apply to the auto-focus, which is dead. Canon VC-50 Pro Saticon tube camera, looking a little well worn from all those interrogations. 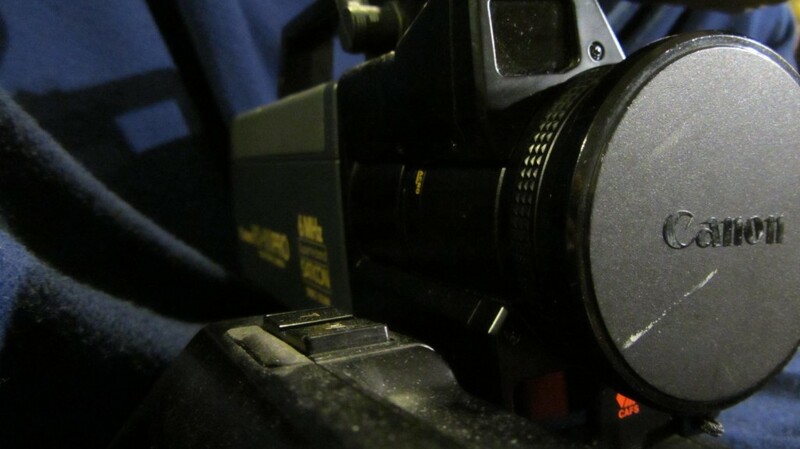 The footage in Angry Maw was captured by a more beat-up Canon VC-50 I have. Stamped as manufactured in 1986, this late-in-the-run model was originally used by a legal department, who probably kept the focal distance at a fixed rate during interrogations. The result: the camera is incapable of providing a clear shot from a distance. Anything far off, or when using the zoom lens is soft, if not out of focus. Colour reproduction is just adequate in what was once a great little prosumer camera that’s also unusually heavy for its class. The other aspects you never know might be toast are the auto-focus feature (infra-red or microwave versions), and perhaps more annoyingly, the zoom motor. This specific Canon camera also came with a Canon (re-badged Panasonic) HiFi VCR which works fine. There’s also one positive to having a beater: you can subject it to more abusive situations to capture stranger footage, whereas the Canon I used for BSV is kept snug in a case because she was so well cared for by her original owner. For Angry Maw, the Canon camera was connected to a Showtime Video Ventures Camera Color Processor VV-700PP unit, which is basically a stripped-down colour corrector that fitted between the camera and VCR to fix bad colour phasing from worn tubes and bad lighting, or boost weak colour and video levels. 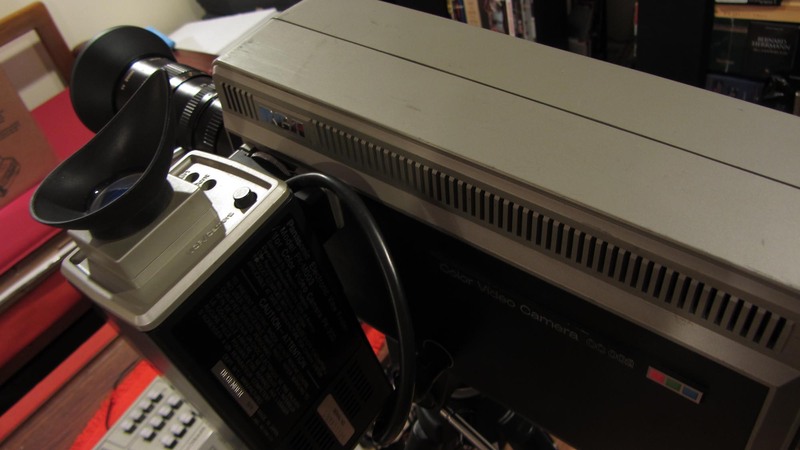 This amazing little gizmo were apparently made between 1983-1985 before Showtime decided to stick to table-top box versions, and hybrid models that incorporated colour correction, video sharpness / softness, and video levels which in prior years were produced as standalone models. Behold the Showtime Video Ventures Video Distribution Amp (it controls video levels of a selectable 2 inputs and spits them out to 5 sources) + a Video Stabilizer which re-assigns a vertical sync pulse to unstable signals. This model was popular with consumers for other reasons during the era of problematic rental videotapes. Ahem. I will get around to making some short-shorts demonstrating what these black & grey boxes do, because they’re great for softening hard and hot analogue signals before recording them to a digital source like MiniDV. Digital has a low tolerance for hot and low video levels, and given my Panasonic mixer’s on the blink, the boxes temper the raw footage before it hits the digital realm. 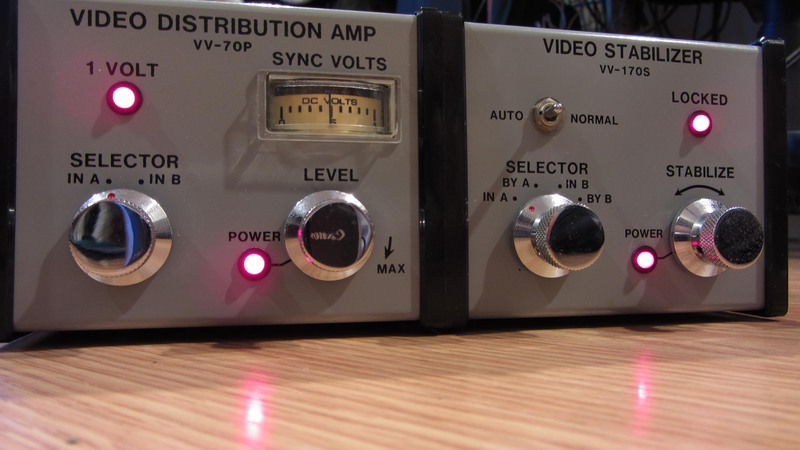 Another handy trick is just piping the signal through a VCR before recording to MiniDV, because VCRs have circuitry designed to stabilize extreme levels that a MiniDV recorder can’t handle. A TBC can also help, but I’ve found it sometimes changes the rawness of the footage , and with crude boxes I can find a sweet spot as a signal goes through various routings where video level, colour phasing & saturation, luminance levels, and sharpness are tweaked and re-routed in improvised fashion. So back to the signal order: Canon to Video Ventures gizmo, then a pass-through a Panasonic VHS VCR, then a combination of routing through Sony SEG-1 and 1A mixers, the Panasonic mixer, and then DV. In Adobe Premiere I chose to work with the B&W footage over the colour variant I recorded, inverted it to a negative image, tinted the edges with green colour, and applied a combination of weird filters. Angry Maw [extract] from Mark R. Hasan on Vimeo. 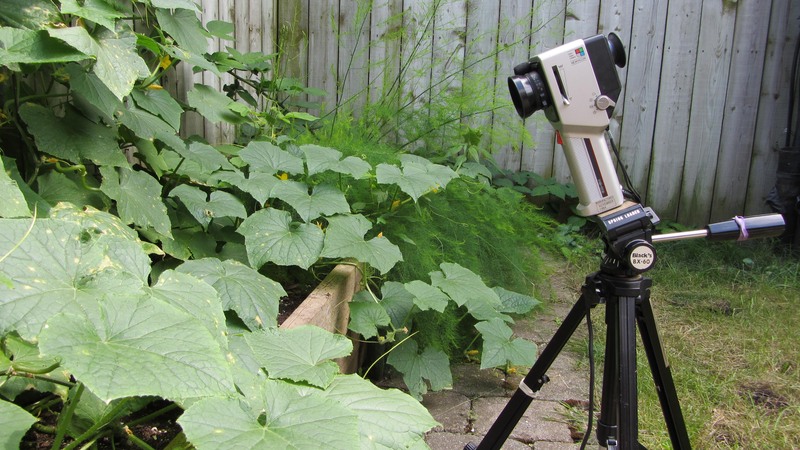 Also in the works is a short video showing the Sharp QC-54 Newvicon tube camera in a bright summer garden setting. It’s very brief footage that demonstrates what the camera captures using its limited lens and auto-exposure system, and what the footage looks like when colour-corrected in Premiere. Sharp QC-54 Newvicon tube camera (which is actually a customized yet re-badged Konica CV-301 model). You’ll soon see what its auto-exposure system can (and, er, can’t do) very well on a sunny day. 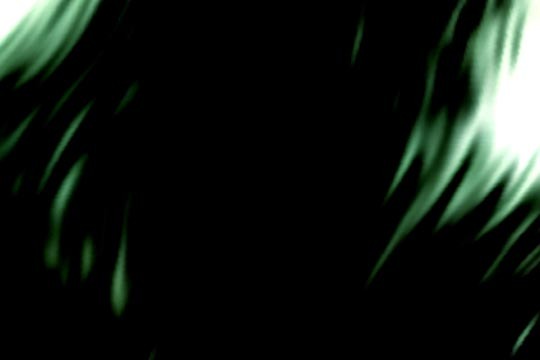 I shot the material to give a hint of what the camera can do in ideal lighting situations, since I used it to create smeared footage in parts of BSV. If there’s time, I hope to take the good Canon VC-50 outside as well, and film some fall garden material. Lastly, the short film on the Sony AVC-3250 is still in stasis and won’t be touched until the BSV teaser trailer’s been completed. The Sony AVC-3250, barely used, and lookin’ real pretty. I’d love to take the 3250 outside, but it’s such a heavy camera in need of an assorted gear just to record a 2:1 sync’d image to disc that it’s not possible. Other reason: my camera was barely used, and is in impeccable condition, so I’m hesitant to getting it a little worn around the edges. A studio setting’s more ideal, which is really where this beast belongs. Still, its size is nothing compared to a Panasonic PK-200 (re-badged as a RCA CC-002). With set up with its long zoom lens, an external electronic viewfinder, and when locked into its portable grip, it’s a shoulder-busting monster. Really nice, warm, Technicolor-ish Vidicon colours, though. A Panasonic PK-200 Vidicon tube camera re-badged as a RCA CC-002. 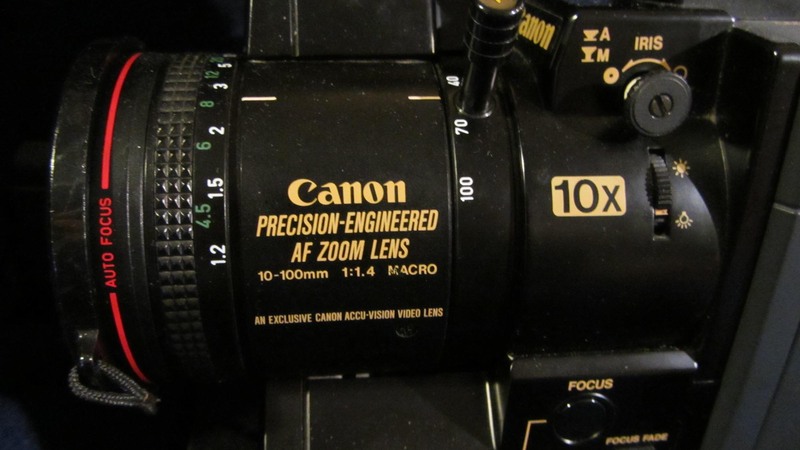 The Canon zoom lens is 100% manual and has no auto-focus, but it’s a gorgeous lens. The side-mounted electronic viewfinder is big and clunky and causes serious finger bruising when screwing on / off the viewfinder. The designer of the terrible mounting system should’ve been beaten with the biggest idiot stick in Osaka. Stay tuned for the trailer, with snapshots of more peculiar vintage gear.